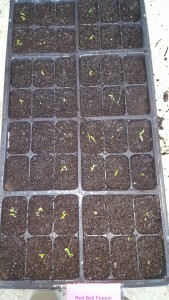 It may be hard to believe, but we have been planting seeds since the week after Christmas! Some may say this is pretty early, but we have some big plans for 2016. Some of you may know already, but we have come into an agreement with Hy-Vee to provide Red, Green, Yellow and Orange Bell Peppers as well as Jalapeno Peppers for the summer of 2016. We will be delivering to 19 Des Moines area stores twice a week. This agreement means we have to plant over 50,000 pepper plants in such a way as to be able to provide enough for at least four months! We have never planted this type of volume, so we had to do some major planning and get pretty creative on how to manage this undertaking with the limited resources available. After creating a schedule, we needed a way to use the space we had to start thousands of seeds at a time. It was time to think three dimensionally. We had a couple of very sturdy shelving units that had six shelves each. 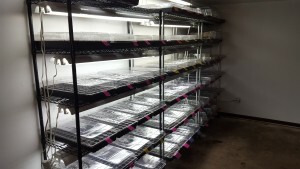 After experimenting, we found that we could fit a total of 24 starter trays each having 72 cells to plant seeds into. 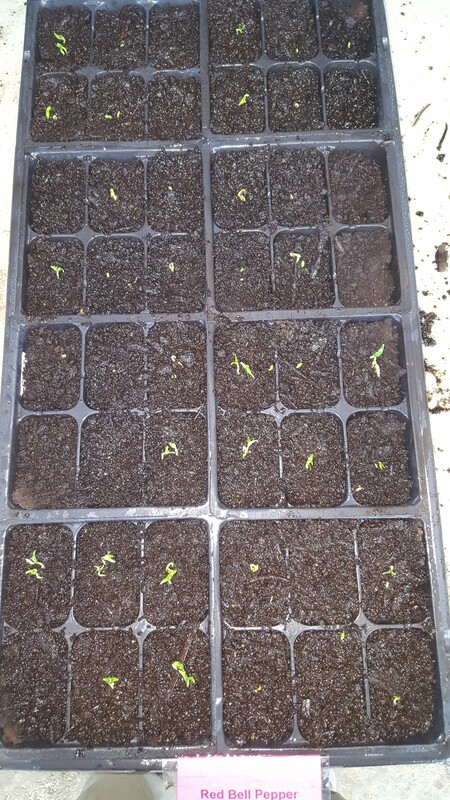 We also decided to plant two seeds per cell giving us a total of 144 seeds per tray. It starts off pretty slow…13 trays the first week, 15 or so the next. Now we are getting ready to up the ante a bit to thirty or more per week. 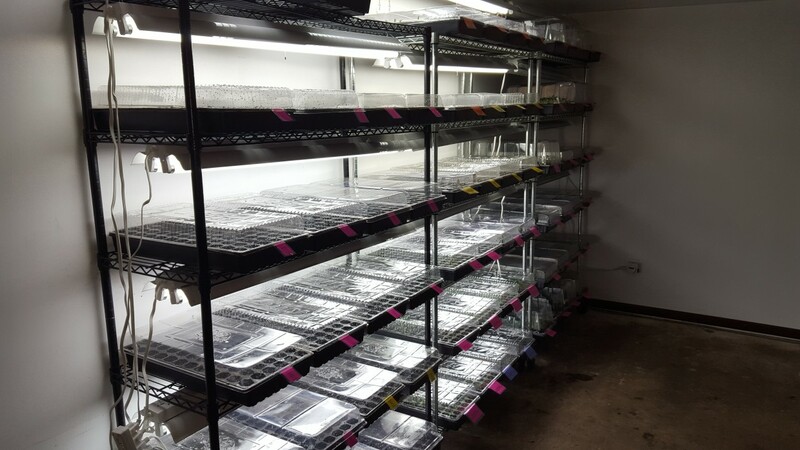 Each shelving unit will be able to hold up to 3,456 seeds so just for the Hy-Vee order, we will need 16 shelving units…that doesn’t include what we are growing for our CSA and farmer’s markets. So far, we are up to three shelving units that are full of trays. This is becoming more and more a reality. I will go into more details as we progress. This adventure is as much for you as it is for us!